With this new site I’m hoping to post regular trip reports from hikes around the state of New Jersey to supplement the guide pages and give you an idea what to expect when heading out to your local park. Here’s the first of what I hope are many. 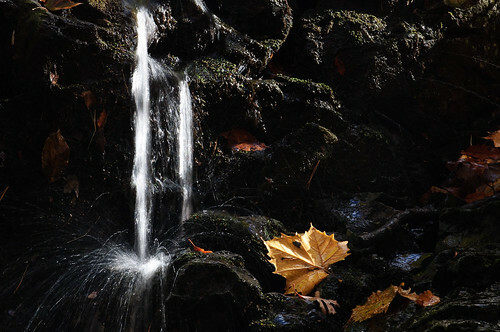 With the fall foliage at near peak in Essex County and rainstorms moving through Friday and Saturday I spent Sunday afternoon with a couple of photographer friends and wandering around the waterfalls in South Mountain Reservation. Autumn colors seemed to be near peak, so if you’ve got the urge to go out and see the bright reds, yellows and oranges the northeast has to offer the next week or so is the time to do it! 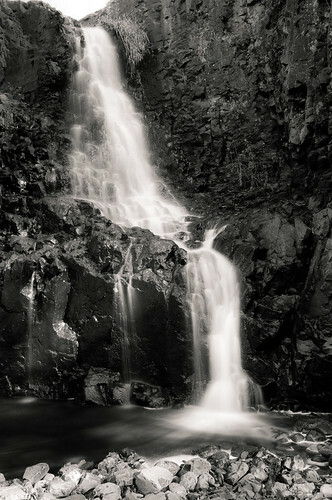 It was just a short walk so there isn’t much to recap, but wandering around the falls did yield some nice images. Enjoy! This is a short walk, hardly considered a hike, but one that is quite popular with parents with children who just want to expose their kids to nature and the waterfalls as well as anyone who just has a short time to spend outside. Starting at the parking lot on the eastbound side of South Orange Avenue [or the Tulip Springs Parking Lot on Cherry Lane then a walk over the pedestrian bridge] make the first left along the road at the sign and intersection with the Rahway trail [white markers]. The road follows a small stream fed by the falls on your right, keep walking and you’ll soon see first Black Rock Falls on your left and then Hemlock Falls and the basalt cliffs at the end of the road. Total distance: about 1 mile depending on where you explore. Terrain: flat road leading to scrambling on basalt cliffs above falls. As I was prepping this little trip report I saw that a guide to the overlooks in the park was published by local news site Patch. 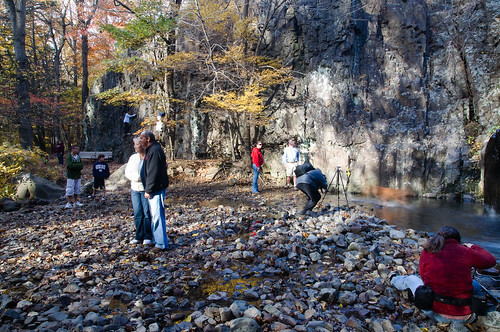 Walk in the Park: Scenic Reservation Overlooks is a good overview of the best views from along this part of Watchung ridge of the city skyline, the Hudson River and other local sights. 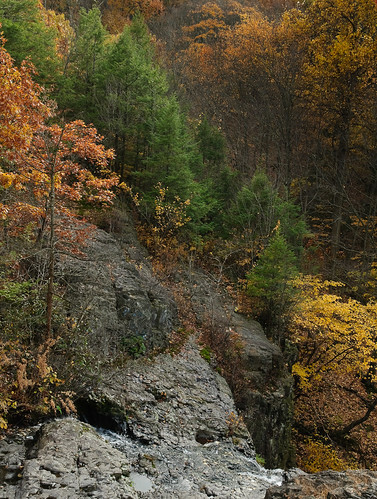 This entry was posted in Trip Report and tagged article, Essex County, fall, foliage, Hemlock Falls, overlooks, Patch, south mountain reservation, waterfalls. Bookmark the permalink.